FRT (Fast Reaction Technology) produces faster opening/closing times for better atomization, increased power. The major advantage of FRT injectors is their reaction time. Their superiority lies in the introduction of a new electronic solenoid within the injector body that controls the pintel. The diminutive pintel receives its signal from the ECU and by opening and closing faster the FRT injector delivers a crisper, more precise and better atomized charge of fuel. Injectors operate with either aftermarket or OEM electronic control units. Injectors 48lb+ are flow-matched to plus-or-minus 1 percent for accuracy. 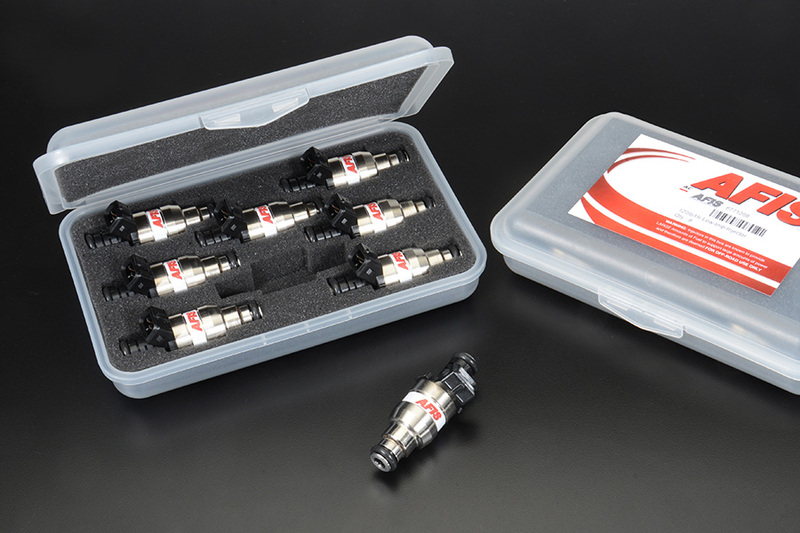 Largest selection of application specific injectors in the industry. All injectors manufactured in the USA.